Should a Canadian mining company be held to account for human rights abuses in operations abroad? This is not a trick question. When the Supreme Court of Canada sits for the hearing into Nevsun Resources next week, scheduled for Wednesday, the court will consider whether to allow a novel cause of action to proceed to trial, thereby dismissing the appeal of the Vancouver-based miner, or stop in its tracks the four-year long journey of former mine workers who allege abuse, including forced labour, at the company’s Bisha mine in Eritrea. The Canadian mining industry is on tenterhooks, predicting diminished investment in the sector should the case proceed. “Businesses will have to re-examine their decisions to incorporate, raise capital, maintain offices, employ people and otherwise do business in Canada,” the country’s mining association states in its submission to the court. In addition to the Mining Association of Canada, Amnesty International Canada, EarthRights International, International Human Rights Program, Mining Watch Canada and the Global Justice Clinic at New York University School of Law were all granted intervenor status. 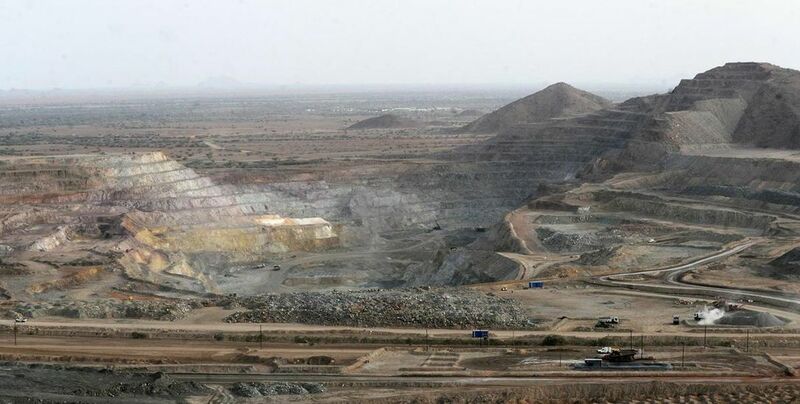 At issue are on-the-ground operations at an open pit zinc-copper mine east of the Eritrean capital of Asmara. Nevsun struck a deal with the state of Eritrea more than a decade ago to develop what would become the country’s first modern mine. Owner and operator Bisha Mining Share Co. is 40 per cent owned by Eritrean National Mining Corp. with the controlling 60 per cent owned until very recently by Nevsun. The mine, which came into production in 2011 initially producing gold, accounts for more than 90 per cent of the country’s exports. The country has had no elections since President Isaias Afwerki came to power upon the country’s independence in 1993 and still has no constitution nor independent judiciary. When the United Nations Special Rapporteur tabled her final report last June, she found no human rights improvements through her six-year mandate and called for an end to indefinite service to the country’s National Service Program, which in practise functions as forced conscription that can last decades. It is on this last point that we come to the Nevsun case. The plaintiffs, now Eritrean refugees (two are resident in the U.S. and one in Canada), sued the company in Vancouver, alleging that they had been conscripted into national service and forced to work at the mine for two subcontracting companies, engaged by Nevsun, one of which was allegedly owned by the Eritrean military. One plaintiff, Kesete Tekle Fshazion, claims he was not permitted to leave the service, even after serving for six years, and that he escaped the mine in 2012. Tekle’s claims included the binding, hands and feet, of other workers who were left to bake in the relentless sun as punishment. Nevsun denied the allegations, asserting that it was not a direct party to the agreement with the state of Eritrea. It was up to Bisha Mining, which Nevsun says made all operational decisions, to retain subcontractors and comply with Bisha Mining’s own policies prohibiting forced labour. The plaintiffs argue that Nevsun is liable for the conduct at Bisha Mining, over which it exercised effective control, including what was majority representation on Bisha Mining’s board. The Supreme Court of British Columbia rejected Nevsun’s position that the appropriate forum for such a case is Eritrea. Mr. Justice Patrice Abrioux found that not only did Nevsun fail to make its case in the matter but that “there is a real risk to the plaintiffs of an unfair trial occurring in Eritrea.” That decision was appealed, and dismissed. The question now for the country’s Supreme Court: should Canadian courts recognize breaches of international law — what is deemed “customary international law” (CIL) — carried out by foreign states? The Mining Association of Canada argues that accepting the application of CIL “would be a competitive disadvantage for mining companies and business in Canada.” The association estimates that 1,500 or so of Canada’s publicly traded exploration and mining companies have interests in as many as 100 countries around the world. Mining Watch Canada argues in its submission that Canadian common law “should develop in a way that accounts for the realities of the globalized economy…Transnational corporations often operate in states where institutions are weak, regulatory oversight is minimal, and the rule of law is tenuous.” The organization points out that the yet-to-be-named Canadian Ombudsman for Responsible Enterprise is to be tasked specifically with investigating allegations of human rights abuses linked to Canadian corporate activity abroad. None of the court proceedings thus far have made any findings of fact as to what actually went on at the Bisha site, including the extent to which the plaintiffs were employed there. Those issues await trial, should this country’s high court rule in favour of the refugees. And Nevsun? Last September it commenced negotiations with China’s Zijin Mining Co., which completed its takeover of the Vancouver company in December. China has emerged as a big player in Eritrean resource development. In a release, Zijin said it was looking forward to extending the life of the Bisha mine. Nevsun shares are scheduled for delisting sometime in March. It’s now up to the country’s high court to determine if the company’s practices will remain in the headlines, despite its corporate transformation.